The Indian no.3 said that Kohli's on-field antics were blown out of proportion by the Australian media during the course of the Test series. India’s Test specialist and arguably one of the best batsmen Cheteshwar Pujara showed his support to Virat Kohli after critics attacked the Indian skipper over his attitude. Since taking over the reign from MS Dhoni, the right-handed batsman has had a vocal presence on and off the field. Not only has the Indian skipper grabbed the headlines for his on-field performance, but also for his antics on the pitch. At moments in Australia, the Indian skipper was seen pumping the audience to cheer the visitors as they continued their rampant performance. Since then, the right-handed Kohli and his antics have been the talking point of many critics. The 30-year-old has upset the former Australian players like Allan Border and Mitchell Johnson. Surprisingly Michael Hussey has otherwise been supportive of the Indian skipper. In the Indian camp, however, Cheteshwar Pujara was more than adamant that Kohli’s behaviour has no toll on his performance which should be the talk. “He can behave the way he wants to as long as he respects the game. He hasn’t been disrespectful to anyone else. Sledging is something which he likes at times. And there is nothing wrong in that,” Pujara told the Times of India (TOI). “Not at all. Ultimately, he (Kohli) also understands what is required to win. Many times I’ve given him suggestions and he has been more than willing to accept them. He might have a different personality but that’s his nature,” continued Pujara in support of the Indian skipper. 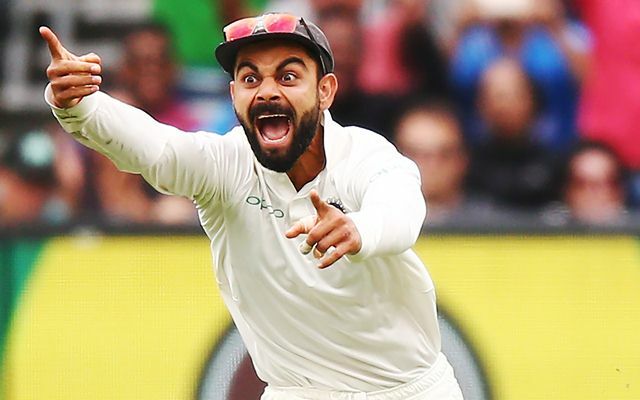 The Indian no.3 said that Kohli’s on-field antics were being blown out of proportion by the Australian media during the course of the four-match Test series. The experienced Pujara also mentioned that sledging doesn’t ruffle his feathers, rather motivates him to perform well. “So, as an Indian player, if there’s something wrong, or even if there is a minor discussion in the team, and if their media-person gets to know, then they’ll (Australian media) always go behind that player. It’s part of their strategy, which we understand. There’s a little bit of sledging which is going on. But luckily, I’m someone who doesn’t get affected. In fact, I get motivated when they try and sledge me,” concluded Pujara.